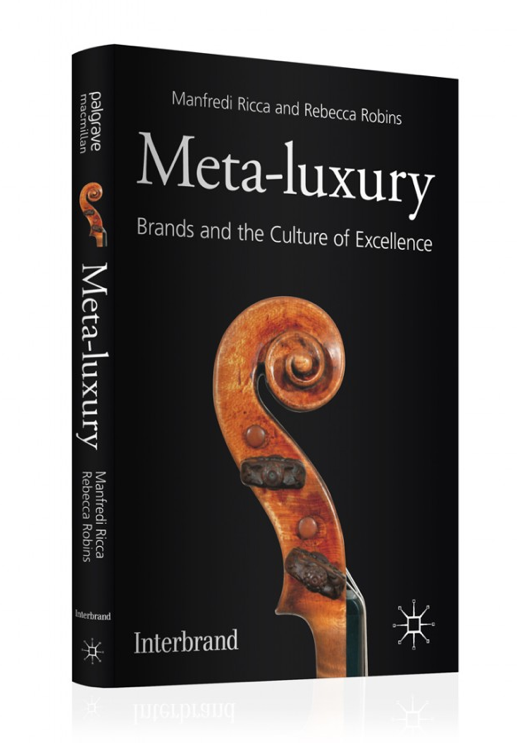 The book “Meta-luxury Brands and the Culture of Excellence” is a must-read for all luxury industry professionals. In a world where the word ‘luxury’ has been overused and its meaning diluted, MetaLuxury is a welcome and needed book to refer to for focused and renewed perspective to the terminology and industry. Meta-luxury = “beyond luxury” … Beyond luxury indeed! Meta-luxury sets out to define the ultimate meaning of true luxury, exploring it as both a culture and business model. Through the concept of Unique Achievement and the pillars of Craftsmanship, Focus, History and Rarity, the authors examine what is at the heart of true luxury and its implications for brand and business management. A unique series of conversations with an eclectic array of world-renowned craftsmen, artists, academics and heads of unique brands, brings insightful illumination to the paradigm of meta-luxury. Salvatore Accardo, Hans Peter Danuser von Platen, Paolo Fazioli, Simon Jacomet, Francis Kurkdjian, Kazumi Murose, Horacio Pagani, Renzo Piano, Dr Michael Scott, Francesco Trapani. A great read that made us fall in love with luxury all over again!